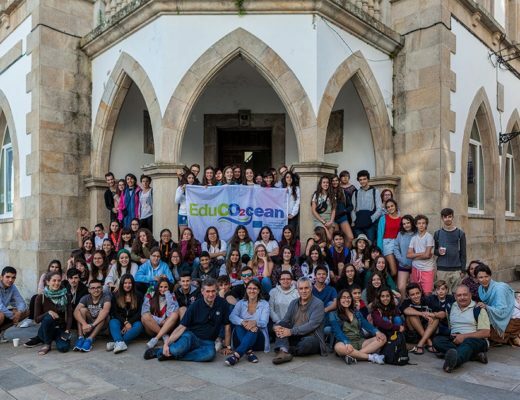 The IES Virxe do Mar, within the framework of its responsibilities in EduCO2cean – Erasmus + has launched a scientific school research carried out by collaborating students toghether with scientists from Campus do Mar. 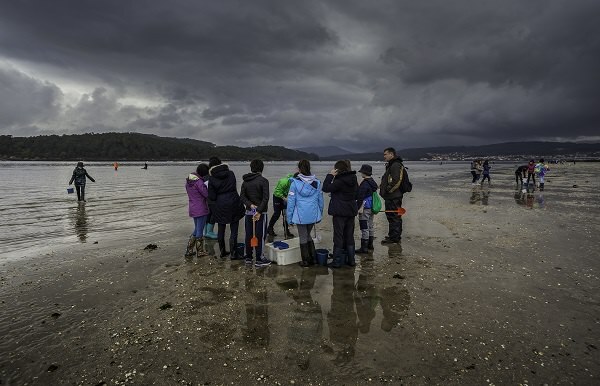 This scientific-school pilot experience took place at the Testal beach in Noia, on Monday, March 27, 2017. 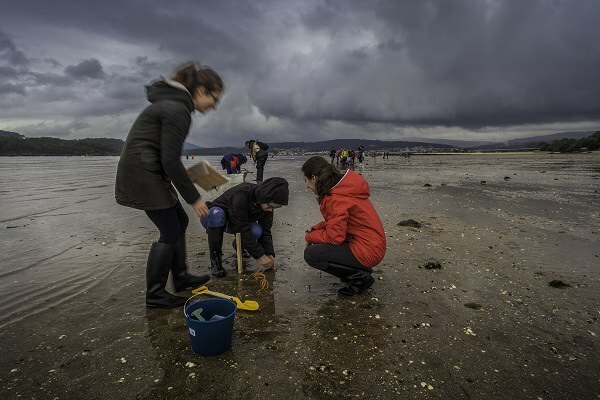 It was led by the University of Vigo Zoology professor, and with the collaboration of the Confraternity of Shellfishers. 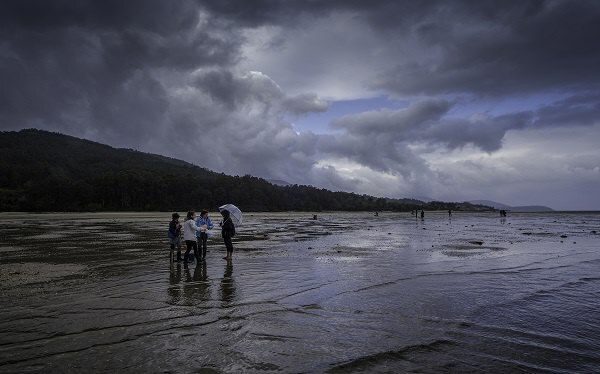 With this scientific-scholarly research, it is intended to start a periodic series of significant annual data on the recruitment of Cockles in Testal, forming part of a fundamental research methodology to monitor possible future events of climate change on this recruitment. EduCO2cean has taken a first step in the methodological line in which school children can contribute to generate series of scientific data in order to monitor the effects of climate change and other factors that affect global change in the ocean, one of the lines of work of the candidature selected by European Union. 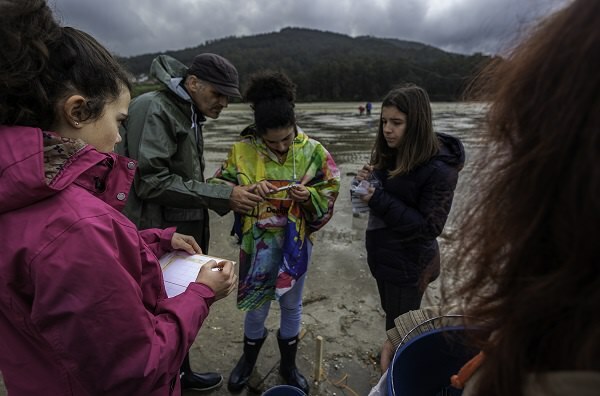 In this scientific-school research, the students followed the scientific method to collect relevant data for the research team of the University of Vigo, which is part of the campus of international excellence Campus do Mar. 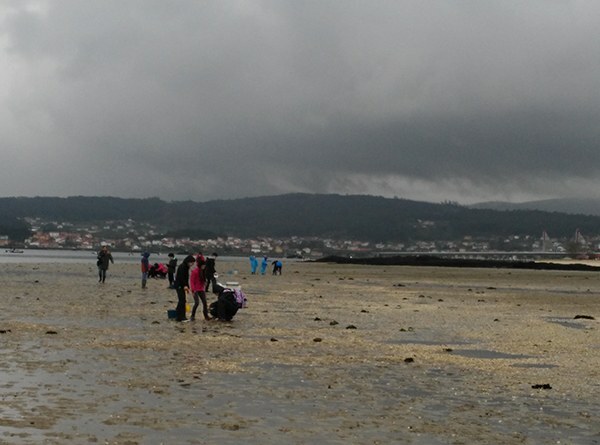 To focus on the students in the scientific method, professor Elsa Vázquez, proposed the starting hypothesis that in the shellfish banks the cockles are distributed homogeneously, regardless of the tide level and size of the animal. 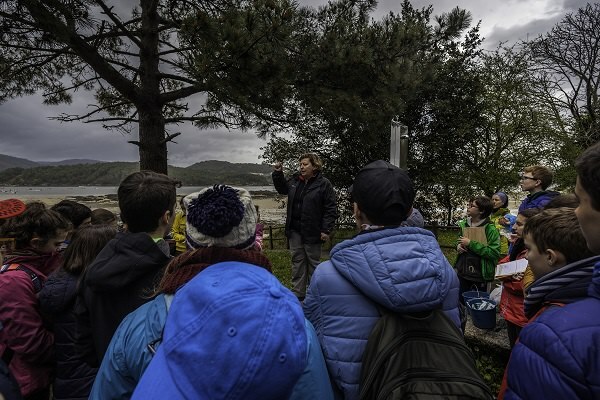 To test or refute the hypothesis, the students investigated, with the guidance of researchers at the University of Vigo, the spatial variability in recruitment and the structure of the cockle sizes between the tide levels of an intertidal shellfish bank. 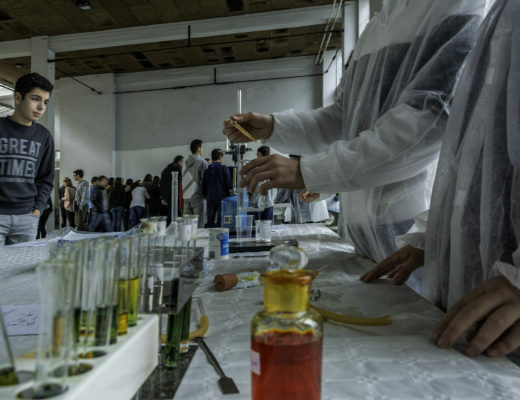 The methodology, which was explained to students on Friday, 24, in a preparation class of the activity, consisted of making two samples with the transect method, stretching two parallel tapes to the coastline, one in the lower mesolitoral and one in the mesolitoral medium. In each transect, it was marked a sampling point using a wooden peg every 25 m. There were at least 20 points, covering half a kilometer of each transect, At each point indicated by a stake, a surface of 25 cm x 25 cm was delimited, with the help of sampling squares. In that square, with the help of a shovel, sand was taken up to a depth of 5 cm, which would be deposited in properly labeled plastic buckets and would be sieved in a sieve tower. After sieving each of the samples of each of the sampling points, the length of the anteroposterior measure will be measured, with the help of calibers, in each cockle. The data will be recorded in an Excel table, where for each sampling point of each transect, the cockles will be counted for each of the five types of defined sizes, from the smaller size (recruits) to the larger ones (adults). Each of the 20 research groups uploaded data from their two sampling points, in each of the transects, into a shared Excel file in Google Drive. In this way the cockle totals of each size class were obtained in both transects. These data were represented in a bar chart, in such a way that for each age class two bars appeared, one per transect, that will allow to compare if there are significant differences by size and transect, which will be the base to accept the hypothesis or to reject it, enabling them to obtain the conclusions of the investigation and to extract its environmental implications. This research was presented in the Canary Islands and in Segovia in a climate interchange meeting, Galicia – Canarias – Castile. Also presented in Aveiro on May 20, 2017 at the Galician-Portuguese Conference of the World Ocean Day.